Protect your eyes from UV rays, dust and pollen with sunglasses from Oakley and Easton hand-selected for umpires. 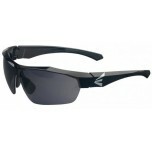 Easton sunglasss provide the best value with a dark lens. 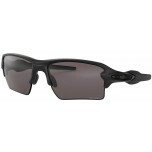 Oakley sunglasses provide optimal clarity and style. Blocks sun well, but they are rather snug around the ear area. Great pair of glasses. They fit under my mask perfectly, which is really important to me. They look nice and are comfy too. They don't fit so tightly that they hurt my head after wearing for a long time like some other glasses do. Also comes with extra set of nose pieces and a black storage sleeve with white drawstring. Wow! Absolutely wonderful. Love these glasses! Worked a game recently where their was a lot of dust, I mean a lot, and these glasses allowed me to continue to work effectively behind the plate, protecting my eyes the entire time. Thank you! Love wearing them on sunny days as well. Should have ordered them years ago. The absolute best for the buck!